More than 60 percent of states awakening to sanctuary dangers. A new report from the pro-immigration Migratory Policy Institute (MPI) found that as of May 8, 2017, 32 states had introduced immigration enforcement legislation, and 24 states are considering anti-sanctuary bills, with four states having passed restrictive bills during their 2017 legislative sessions. For example, Georgia and Indiana enacted laws restricting postsecondary institutions from adopting sanctuary campus policies. Mississippi prohibited local jurisdictions as well as postsecondary institutions from adopting or maintaining sanctuary policies. MPI concentrated most of its research on the possible legal consequences of Texas’ anti-sanctuary SB 4 which Gov. Greg Abbott recently signed into law, and which will take effect on September 1. Three lawsuits have already been filed against SB 4, and MPI predicts similar challenges to other states laws, assuming they pass. California isn’t among the states MPI included in those contemplating anti-sanctuary bills. In fact, California is at the complete other end of the spectrum as it proposes through its SB 54 that the entire state become a sanctuary. In its 2016 analysis, MPI wrote that since 2001, California had passed various bills that expanded entitlement to illegal aliens, including an option to pay in-state tuition, get driver’s licenses, and provide expanded Medi-Cal coverage for aliens’ minor children. Watch the CAPS ad that discusses sanctuary California’s risk here, and read the related press release here. 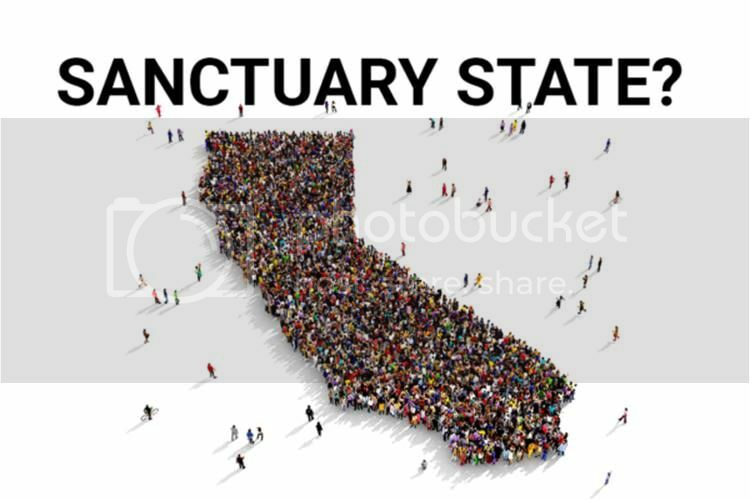 Then go to the CAPS Action Alert page here to tell your California Assemblyman to reject SB 54, the legislation that would make California officially a sanctuary state.